On today’s episode of THE FOOD SEEN, the fourth generation of Zaro’s Family Bakery, is run by four Zaros: Michael, Brian, Scott and Richie. 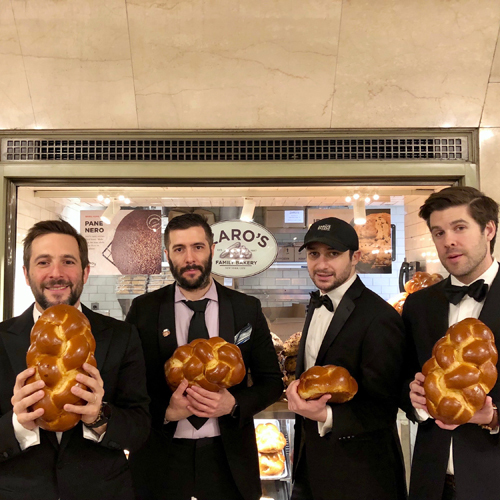 These three brothers and one cousin, bake the breads and pastries of their birthright, as native New Yorkers, instilling an institution with braided challahs and black & white cookies. Over 1.5 million people pass by their storefronts every day, conveniently located at transportation hubs like Grand Central Terminal, Penn Station and Port Authority, it’s no wonder that traveling back in time, still tastes so sweet.